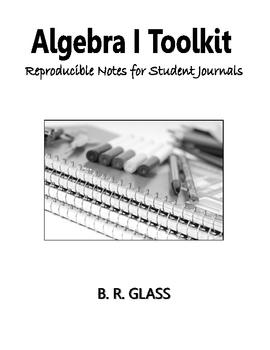 The Algebra I Toolkit: Reproducible Notes for Student Journals is a publication intended to be used as a supplement to an algebra classroom's main curriculum. It includes over 90 pages of reproducible notes that students can glue into their class notebook. These time saving notes not only serve as a year-long reference for students, they also help create a more time-efficient classroom.